SingTUBE is a new experience in music browsing. You can search for your favourite music videos in YouTube without getting any annoying suggestions. Feel free to test your singing skills with our incredible lyrics feature. For best user experience, please pick up videos in the correct format for displaying lyrics. 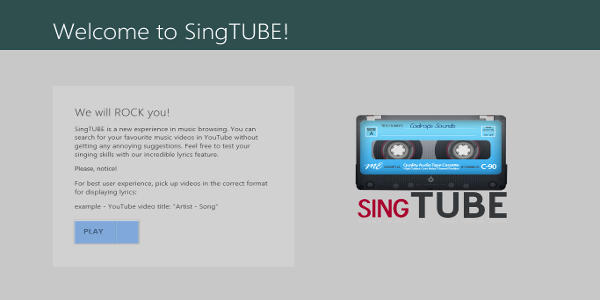 SingTube is Windows 8 Store Application withWinJS.